Think you are a political junkie? Go ahead, play the Rediff.com Election Game! 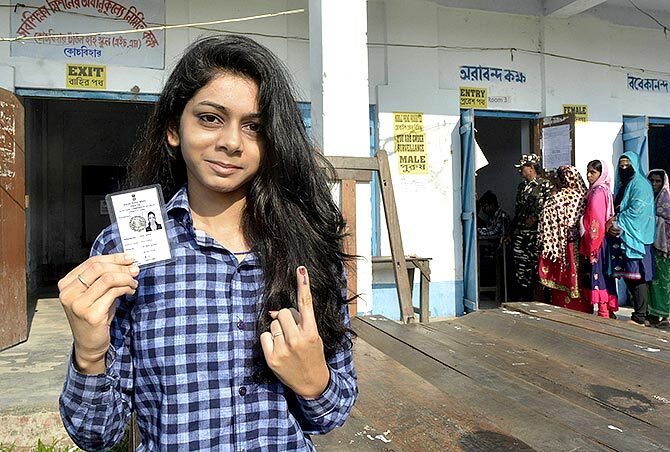 97 Lok Sabha constituencies will go to the polls in the second phase of the Lok Sabha election. Want to predict the outcome of the Lok Sabha election in the states that vote on Thursday, April 18, 2019? Take the Rediff.com Election Game and check how much you got right when the votes are counted on May 23. And do share your predictions with family and friends and invite them to take the Rediff.com Election Game too! So what are you waiting for, folks? Let the Game begin!